Prabhakar Barwe studied art at Sir J. J. School of Art, Bombay. 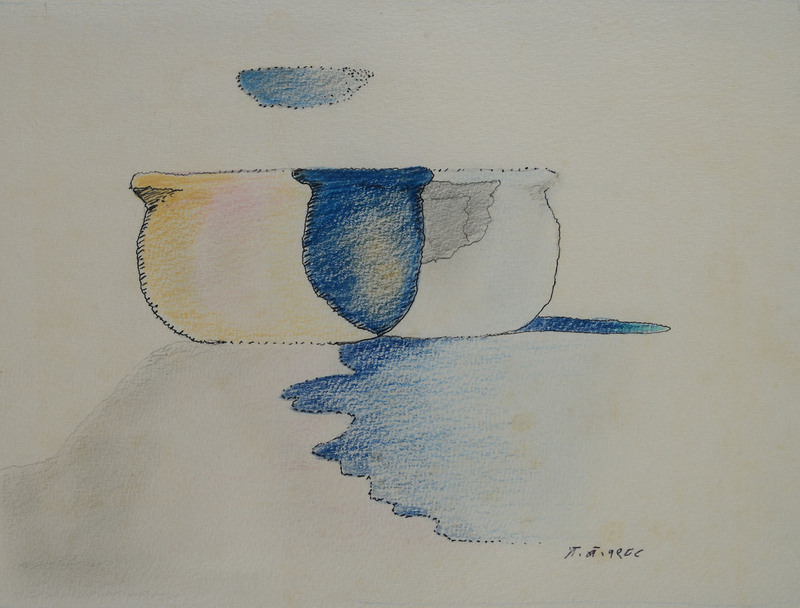 His fascination with the abstract form, drawn from the style and the concepts of the Bauhaus movement, was reflected in his early watercolours and later works with floating motifs on a transparent surface. Barwe rejected both the British academic tradition-dictated artistic models in Indian figurative art and the Indian miniature form to evolve a universal, abstract visual language that explored inward spaces and transient realities. In 1988, Barwe earned a grant to Yaddo, an artists’ community located on a 400-acre estate in Saratoga Springs, New York. As he embarked on this journey, he spent the first month navigating various museums across the state; though it was the Vietnam War Memorial that left an eternal imprint within his mind. He then stayed at Yaddo for six weeks. This is a set of two artworks. 6.6 x 8.6 in. ; 7 x 10 in. 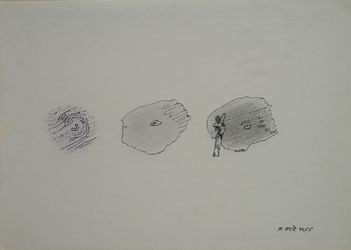 Prabhakar Barwe works 1955 to 1995 at Percept Art Gallery, Lower Parel, Mumbai, 22nd November 2013 to 28th February 2014.